I would like to commend the crew from Silver Hill Fire/EMS Station 829 for their actions this morning at the scene of a Temple Hills house fire. The entire crew worked cohesively as a team and followed direction from the officer in charge to ensure a quick arrival, adequate water supply, charged hose lines, 360 check of structure and assigned personnel to simultaneously extinguish the fire and perform search. The teamwork resulted in a rescue of three occupants from a heat and smoke charged environment on the second floor all done before the arrival of other fire and EMS units. Furthermore, the crews performed life-saving measures once the victims were removed to the safety of the exterior. Their actions had an direct impact on saving these young lives. Medics continued treatment while transporting four home occupants to the hospital. I’m proud of the actions of everyone on this call, in particular, the first arriving crew from Silver Hill. 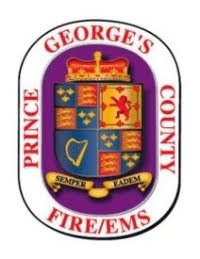 Your actions reflect favorably on yourself, your ability to work as part of a team and on the entire Prince George’s County Fire/EMS Department. Congratulations on a job well done!!! Firefighters rescued 3 young occupants of a Temple Hills home fire this morning. Just after 7:00 am, Sunday, October 29, 2017 firefighters and medics were alerted to a house fire in the 4700 block of Alcon Drive. A 911-call taker received an emergency call from a female stating that her house was on fire and her children were trapped on the 2nd floor of the home. The children were unable to escape due to the thick smoke and high heat in the hallway. This information was relayed to responding firefighters by dispatchers at Public Safety Communications. First arriving firefighters from the Silver Hill Fire/EMS Station 829 arrived with smoke showing from the house. A rapid circle check of the house revealed to the officer-in-charge, Fire Lt. Michael Perritt, that there was a fire located in the 1st floor kitchen. With a crew of five firefighters onboard the engine Lt. Perritt was able to split his crew. 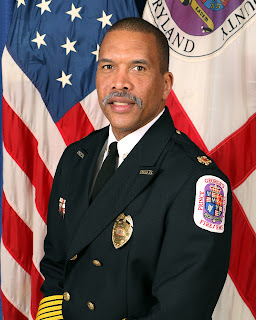 He directed a firefighter to advance a hose line to the first floor kitchen and extinguish the fire while Perritt and 2 other firefighters went to the 2nd floor to search for the trapped occupants. Despite high heat and near zero visibility the crews located 2 children in one room and an infant in another. The 3 children were brought down through the interior stairwell to the exterior where firefighters initiated immediate rescue breathing on 2 and cardio pulmonary resuscitation (CPR) on the infant. All 3 children responded to the life-saving efforts and started breathing on their own. The fire was extinguished within 2 minutes of arrival with search and rescues occurring shortly thereafter. An adult male escaped the 2nd floor by jumping out of a window. He was not injured. A secondary search of the house found that all other occupants had escaped prior to the fire departments arrival. A total of 4 occupants between the ages of 17 years of age and 4 months old were transported to a hospital suffering from heat and exposure to smoke. They were transported in serious but stable condition. A working smoke alarm could be heard by firefighters as they entered the structure. There were 8 occupants inside the house this morning. A total of 9 normally reside there and will be displaced. They are being assisted by the County Citizen Services Unit and the American Red Cross. The cause of the fire is undetermined and fire loss is still being estimated. No additional injuries were reported. The Fire/EMS Department believes the working smoke alarm alerted and awoke the sleeping occupants. Occupants stand a 50% better chance of surviving a home fire if you have working smoke alarms. This upcoming weekend, when we adjust our clocks back 1 hour we also need to change the batteries in smoke and carbon monoxide (CO) alarms as well. Smoke and CO alarms should be tested on the Safety First Day of every month to ensure they are working. A new law will go into effect on January 1st, 2018 requiring all battery operated smoke alarms to be a 10-year, sealed battery, model. 10-year smoke and CO alarms eliminate the need to change batteries. Firefighters frequently find smoke alarms not working due to dead or missing batteries. As many as two-thirds of residential fire fatalities occur in homes with non-working smoke alarms or no smoke alarms at all. The Maryland State Law will require homeowners to install 10-year smoke alarms on every level of your home, primarily just outside of sleeping areas. Smoke alarms also need to be installed in every bedroom and we encourage everyone to sleep with their bedroom door closed. Additionally, families need to plan an escape plan, which identifies 2 ways out of every room in the house and a safe meeting place outside. If any County resident is in need of a working 10-year smoke alarm and cannot afford to purchase one themselves to call 311. A firefighter will come to your home and install 1 alarm for you, free of charge. Any family requiring assistance in planning an exit drill in your home can contact our Community Risk Reduction program at 301-883-5250.